Yesterday was the day of the big spenders. Gareth Bale became the world’s most expensive footballer and joined Real Madrid for £85 million, Vodaphone announced the selling off of its huge stake in Verizon for a mere £84bn and Microsoft has agreed a deal to buy Nokia's mobile-phone business for 5.4bn euro ($7.2bn; £4.6bn). Tottenham have already spent the cash and replaced Bale with half a team of international talent. Vodaphone are planning on giving their shareholders a huge dividend of some £54bn to sweeten the windfall and true to their nature will avoid paying any tax on the deal. But what of Microsoft and is the deal going to reverse their fortunes under its new leadership? Only some ten years ago Nokia ruled the mobile world and was the device of choice for the majority. However, Nokia made some fatal errors of judgement around its operating system and also failed miserably to compete with its new competitors from the Far East and Apple. Today it finds itself with saes falling at the rate of 24% in the last year. Microsoft, like a giant tanker spent 10 years trying to change course in changing seas and took too long in doing so. So will a marriage of two of yesterday’s men make any difference to their fortune moving forward? Microsoft will now license Nokia’s patents and mapping services and take on some 32,000 Nokia employees but will it win the consumers over? Microsoft will also licence the Nokia brand for the next ten years which may sound a good move but may also not appeal to the consumer. Mobile is the area of tremendous potential but it has been one of weakness for Microsoft. There attempts to fix their OS offer have had the hype but delivered little. Microsoft’s Surface tablet should have been a winner but turned out a loser and its weakness was down once again to the OS and its offer. Nokia greatest weakness has been their inability to adapt and sort out its OS. So will Windows OS mobile be the new must have or will it merely burn a deeper hole in Microsoft’s purse? 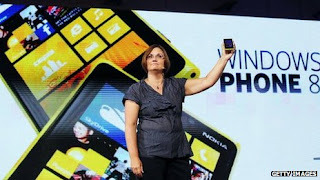 The new Lumia phones, which run a Microsoft operating system, may offer a small rest bite and the potential for greater integration, but will the marriage also drive other mobile manufacturers away from Windows offers and yet closer to Android? Real Madrid have already covered their expenditure with the sales of Kaka and Ozil and in shirt sales. Vodaphone believe they can survive as a smaller global player and have a wedge of cash to soften the move and we now have three clear mobile offers; Apple, Android and Windows/Lumia/Nokia/whatever brand they finally choose?